Otherworld Cottage Industries is Hollywood multi-hyphenate Travis Edward Pike's independent book, dvd and cd publishing company. Otherworld Cottage reports great reviews for Harvey Kubernik's "The Doors Summer's Gone"
Harvey Kubernik's book, The Doors Summer's Gone (Otherworld Cottage Industries) posts a plethora of excellent reviews. A banner production year for Hollywood-based Otherworld Cottage Industries has just been capped off with a 2018 LUXlife Magazine Global Entertainment Award. Harvey Kubernik's "1967: A Complete Rock Music History of the Summer of Love" listed in "The 1960s: Key Themes and Documents (Unlocking American History)." "The 1960s: Key Themes and Documents (Unlocking American History)" by James S. Olson, edited by Mariah Gumpert, published by ABC-CLIO, cites Harvey Kubernik's "1967: A Complete Rock Music History of the Summer of Love" published by Sterling/Barnes and Noble. 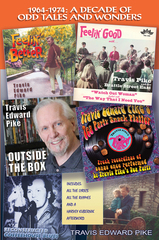 On September 14th, Otherworld Cottage will publish singer-songwriter Travis Edward Pike's new memoir, "1964-1974: A Decade of Odd Tales and Wonders," a photo-illustrated, artifact-filled trip through that critical decade, featuring his songs, lyrics and rhymes. 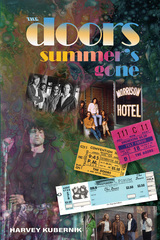 Otherworld Cottage Enjoys Excellent Reviews for Harvey Kubernik's "The Doors Summer's Gone." 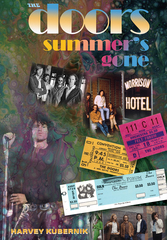 Otherworld Cottage offers some of Harvey Kubernik's online, print and broadcast interviews and reviews for his new book, "The Doors Summer's Gone," currently stirring major interest both here and abroad.